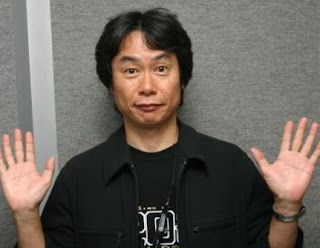 "As Excitebike was being developed in Tokyo, I went on a lot of business trips there together with Miyamoto-san and we'd often stay over in a hotel. That was right at the start of the bubble economy and there were times when it would be really hard to secure a hotel room. There were even times when we slept in the same bed." Other interesting tidbits are revealed during the interview, too--including the fact that Super Mario Bros. and The Legend of Zelda were developed by the same team, at the same time. "Those two titles were both developed at the same time," Satoru Iwata says at one point. "It's surprising how many game fans aren't aware of this, but the first Super Mario and Zelda titles were made simultaneously, with the same staff. It's something that seems completely unthinkable now!" If this kind of nerdy stuff trips your trigger like it does mine, go here to read the interview in its entirety. You really scared me there for a minute! I believe he is married and has children. I don't think sexuality matters though. Yeah, I'm pretty sure he's at least married (to a woman).